Does a testator have a moral obligation to provide for adult children in a will? Whatever your personal opinion is on this topic, in the legal context this matter has been debated over the years. In fact different provinces, such as British Columbia, have very different laws on this issue. The Ontario Court of Appeal Decision in Verch Estate v. Weckwerth, 2014 ONCA 338, sheds some light on the issue of whether a testator owes a moral obligation to provide support for independent adult children in the will. In this case the testator left his entire estate to his daughter-in-law, his son’s estranged spouse. His children claimed that the father had a moral obligation to provide for them in the will, as is just and equitable. The Ontario Court of Appeal dismissed this claim. Even though some cases from British Columbia uphold this moral duty, Ontario is not bound by decisions from other provinces. B.C. also has legislation proclaimed unlike any Ontario statute – legal principles in Ontario are different. If the testator’s children had proven that they were dependants prior to his death, pursuant to the dependant’s relief provisions in the Ontario Succession Law Reform Act, the decision may have been different. There are many factors that play in deciding whether a person is entitled to receive funds from the testator. Nonetheless, the law may change and a moral obligation to provide support for independent adult children in a will may eventually be found. If you believe you have a dependant support claim, it is important to consult with an estate lawyer who has experience and extensive knowledge of estate law. 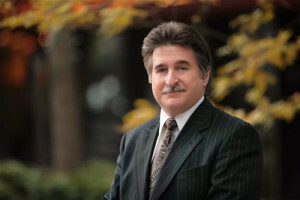 If you suspect you are entitled to receive under your parent’s will, book a consultation with experienced estate litigation lawyer Charles Ticker.